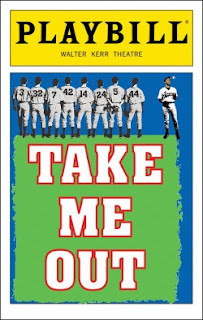 Take Me Out is a 2002 play by American playwright Richard Greenberg originally staged by Donmar Warehouse, London, with The Public Theater. It premiered Off-Broadway on September 5, 2002, at the Joseph Papp Public Theater, and made its Broadway debut on this date, February 27, in 2003, where it ran 355 performances. It won the 2003 Tony Award for Best Play. 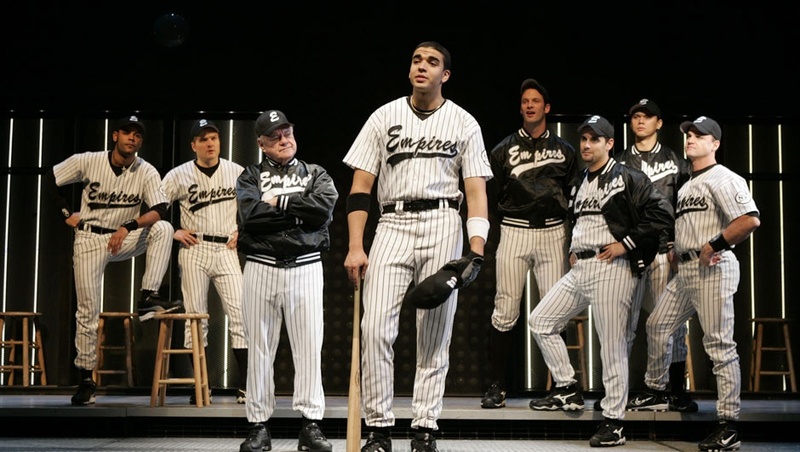 The play's main character, Darren Lemming, is a popular and successful mixed-race baseball player at the peak of his career when he decides to come out. Several of his teammates react strongly (some supportive and accepting, and some not), and the drama plays out over the course of a baseball season with tragic consequences. While Glenn Burke was out to teammates and team owners in the 1970s and Billy Bean came out in 1999 after retiring from playing in Major League Baseball for eight seasons, at the time of the writing of this play (and currently) no Major League Baseball player had ever come out to the public during his career. This play is the dramatic exploration of what such an event might be like. Playwright Greenberg has stated that one of the compulsions for creating a baseball play was his complete immersion into the sport in 1999 after following the New York Yankees' (then-) record 114-win season the previous year, beginning with David Wells' perfect game. Many believe the inspiration for Lemming is American Major League Baseball player Derek Jeter of the Yankees, and for racist pitcher Shane Mungitt, former National League pitcher John Rocker, then of the Atlanta Braves. Original London cast (2002) of Take Me Out ran at the Donmar Warehouse June 20 - August 3, 2002. The Broadway production ran at the Walter Kerr Theatre from February 27, 2003 to January 4, 2004. Below is the name of the actor and his character from this prodution.